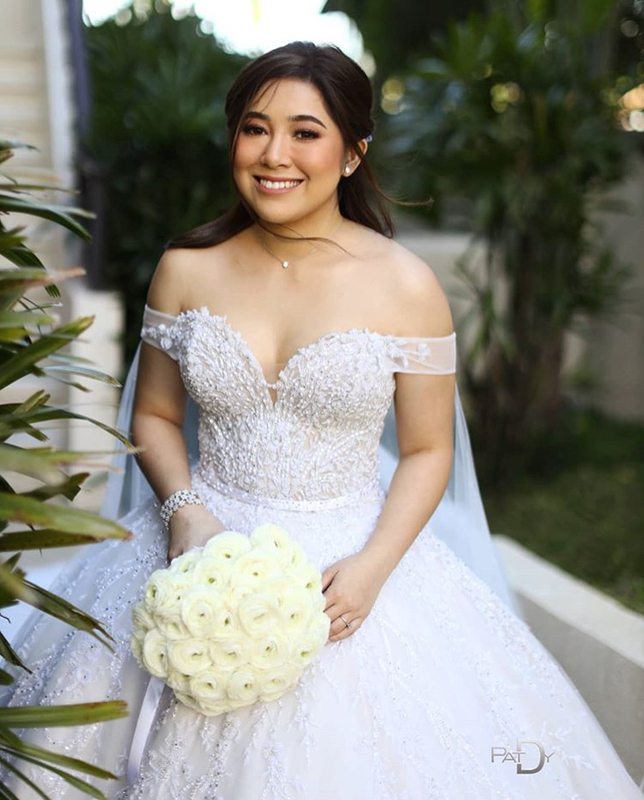 Seemingly a secret garden hovering above the fantastical picturesque landscape of Tagaytay, Moira Dela Torre and Jason Marvin Hernandez said the words we all long to one day hear from the one whom we love—I do. 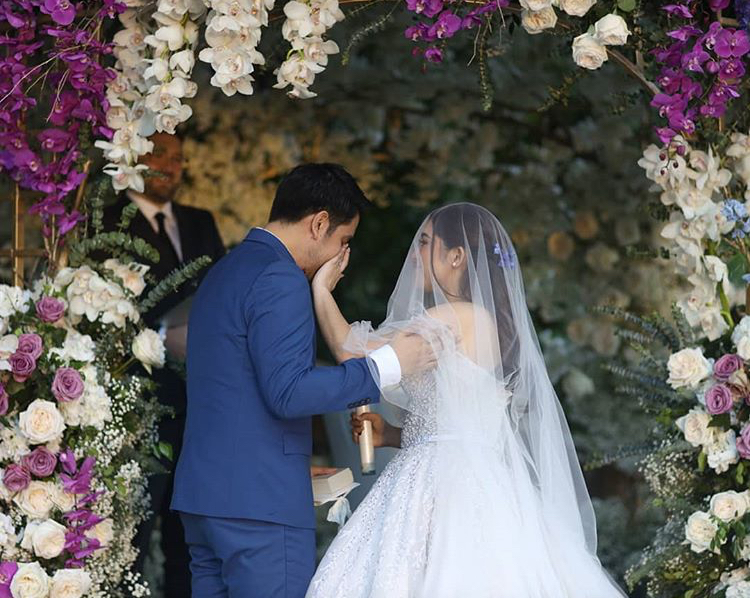 There was a cool breeze in the air as I watched Moira walk down the aisle and Jason prepare his handkerchief it was clear to me that there wasn’t a dry eye in sight. 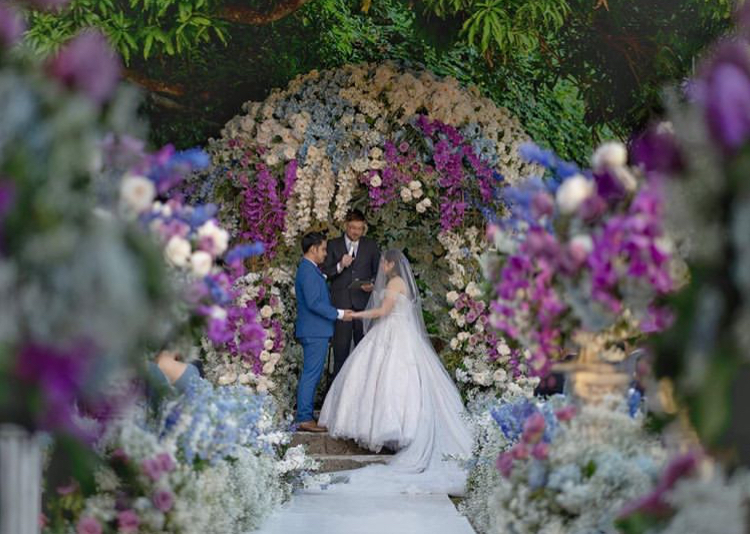 The energy of the intimate party of guests was lively and jovial as they cheered for every member of the bridal party as they walked down the aisle. 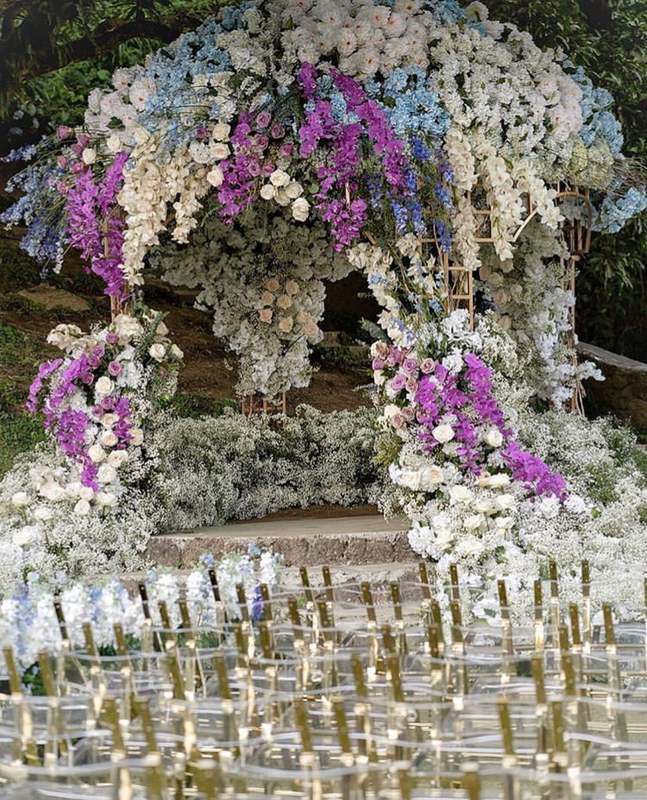 The styling was transformative and breathtaking— nothing less to be expected by the hands of Gideon Hermosa. With her angelic voice the words of “What a Beautiful Name” carried across Nara Hill as Moira sang with all her heart. 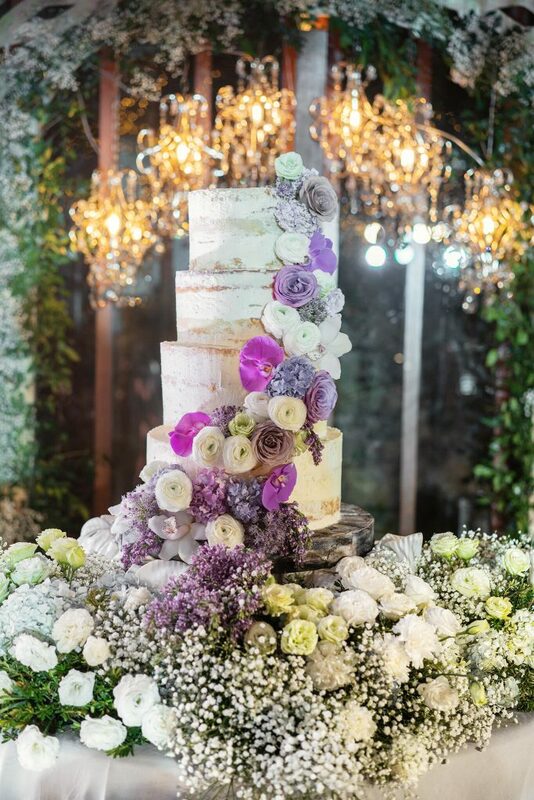 Puppies scurrying down the aisle, a small parade of ring bearers (the first of whom had clearly taken his first steps not too long ago), and Moira’s Naked Cake were among just a few of the charming details that made this wedding one of a kind. I first met Moira and Jason when Christine Ong Te of Christine Ong Te Events introduced me them. 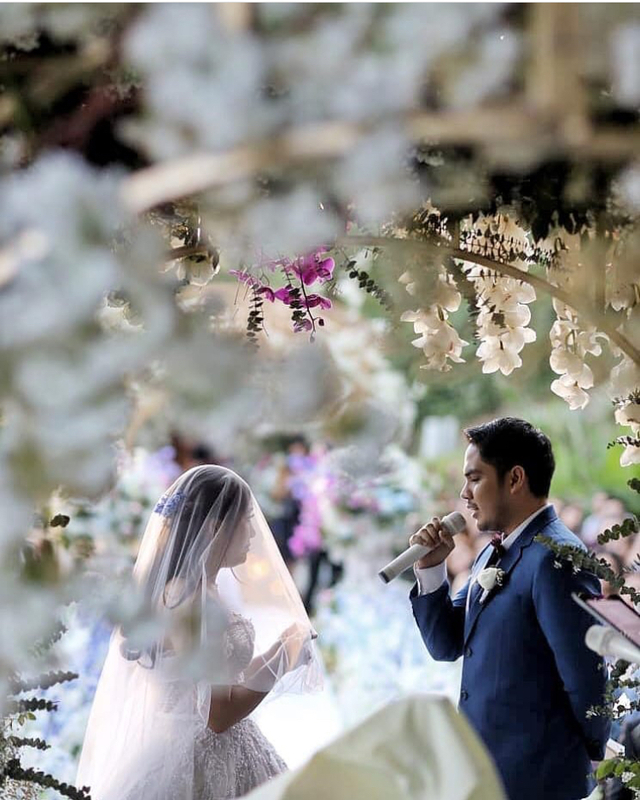 The couple struck me as down to earth, sincere, and had a chemistry that was undeniably adorable. 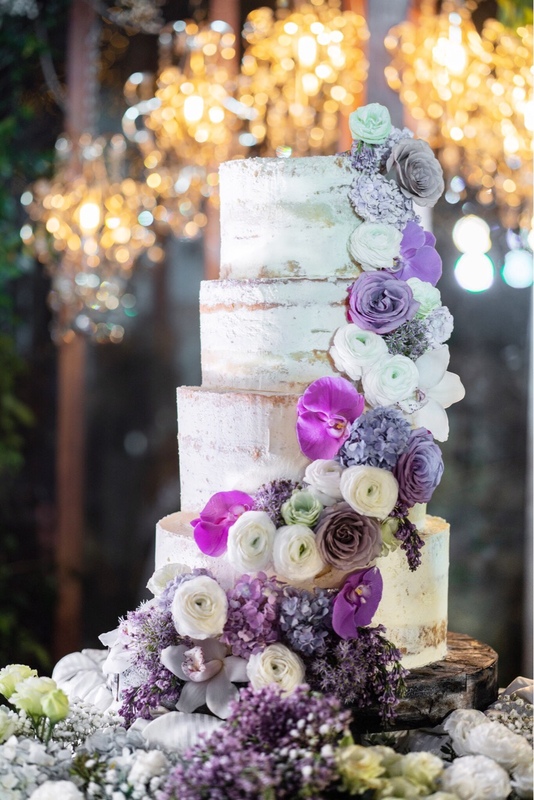 Before our cake tasting, we prepared a presentation featuring photos of the couple, their color motif, some of their favorite pegs and 3 preliminary sketches our designers created to “feel out” the vibe that the couple was looking for. 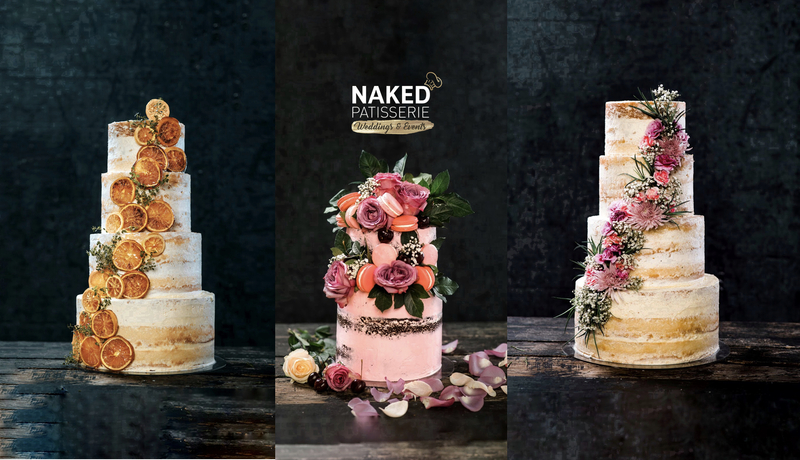 After several cups of coffee, numerous cupcakes and a few laughs, Moira decided that she wanted a naked cake. 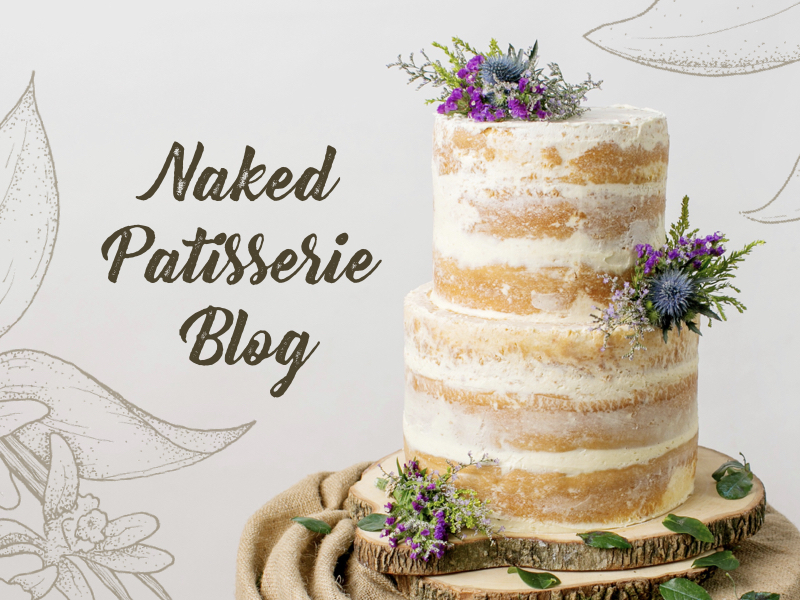 With alternating layers of lemon and French vanilla cake, Moira and Jason chose a 4-tier Naked Cake towering over 24” tall with a baseboard made of edible fondant that was disguised as a rustic wooden board. 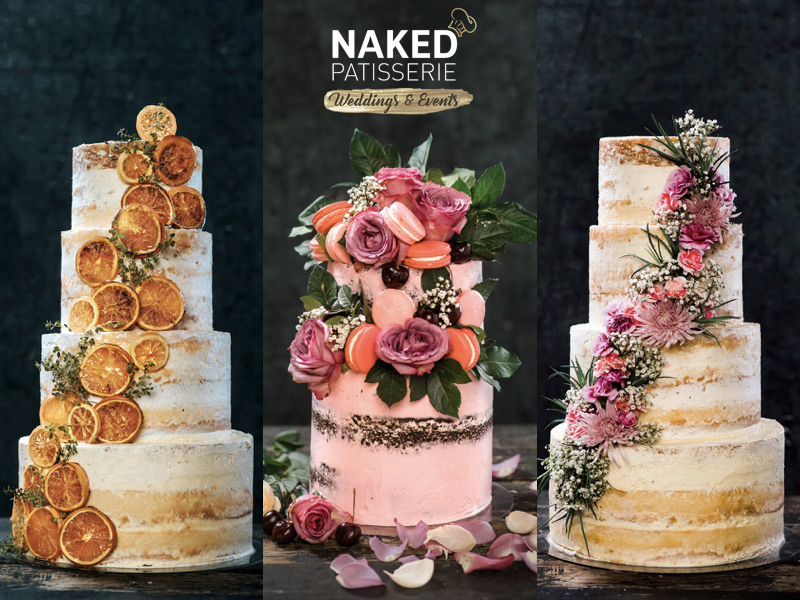 The Naked Patisserie team set up the cake while the ceremony came to a close and Gideon Hermosa put his magic touch on it by adding the fresh floral elements to finish the design and tie the cake together with the overall styling of the reception venue. 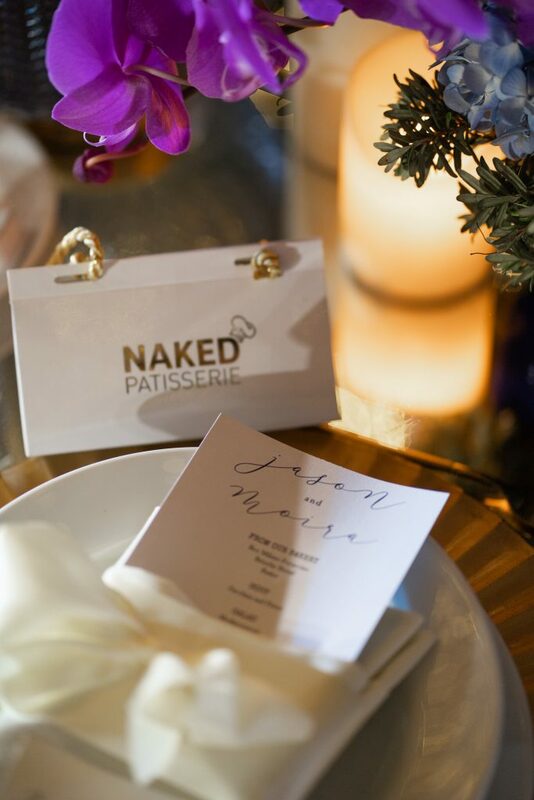 It was an honor to be a part of Moira and Jason’s big day, and I would like to extend a special thanks for Christine Ong Te and Gideon Hermosa for their support in helping make this moment possible for Naked Patisserie. 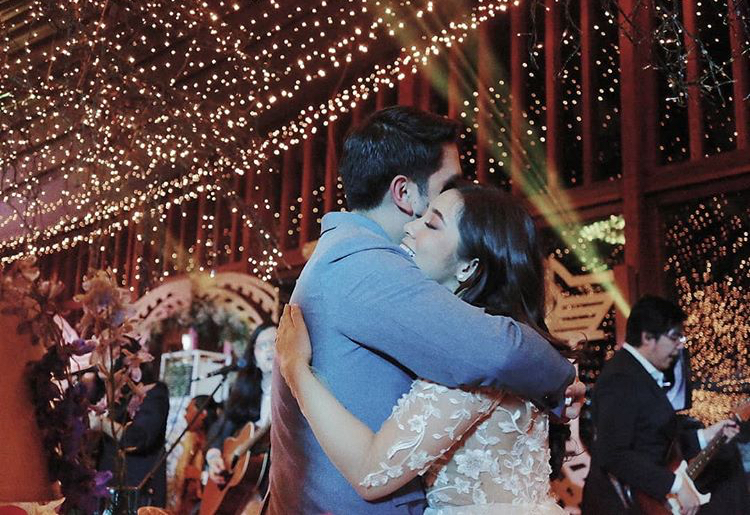 We wish you a lifetime of happiness, Moira and Jason. God bless!